Holiday.gr - Agia paraskevi, a trip to a myth! 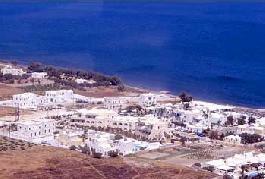 Near the airport of the island, between Monolithos and Kamari, is located Agia Paraskevi. It is a very quiet village that took its name from the homonymous church. It is a place of worship for thousands of visitors. Been to Agia paraskevi ? Share your experiences!